MDK shares 2018 Interior Design Trends when it comes to color, color combinations and palettes to elevate the look of your space. 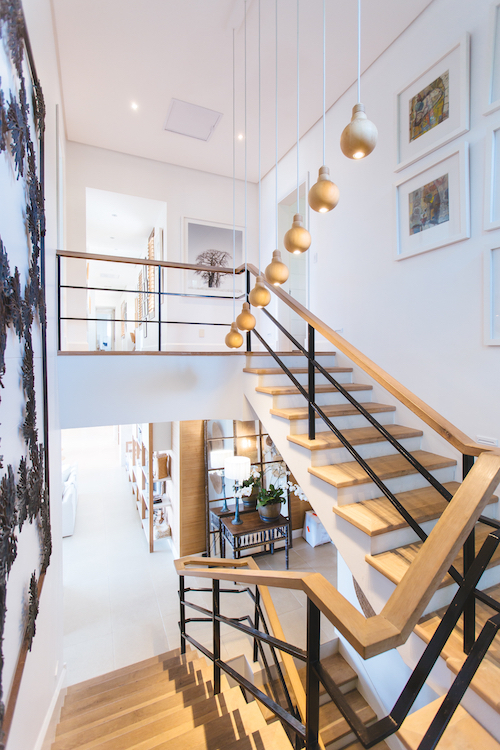 A few years ago, gold and rose were everywhere and everything – from jewelry such as watches and earrings, to your home’s interior like lighting and furniture finishes. These beautiful metallics were a premium, and we loved incorporating gold and rose everywhere we could (tastefully, of course). 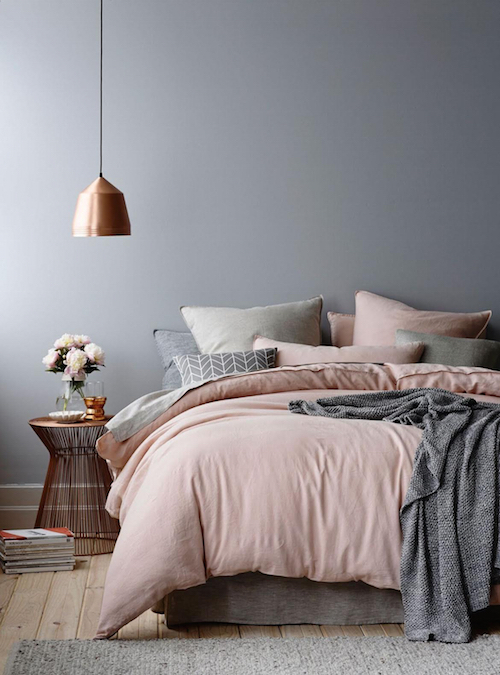 Yet, the trend seemed to go away for a few years, disappearing just slightly, and opting instead for more earthy tones of metallics, unique pastels and more. Fast-forward to present day, 2018 interior design trends have once again incorporated gold and rose, and we couldn’t be more thrilled. It’s back! And it has been revitalized for what is sure to be an impressive re-introduction. These colors are making their mark during this calendar year – here’s why gold and rose have returned within 2018 interior design trends. Because they can be used anywhere. These metallics can be used for lamps, desks, tables wall decal and more. It’s so versatile, and can even be mixed and matched between palettes. Choosing such a palette that has two finishes, such as gold and silver, or rose and copper, can bring a unique element and combination to any room that is truly yours. Try experimenting in your kitchen, living area, hallway or bathroom areas this year. Because a little goes a long, long way. It’s important to ensure that gold and rose aren’t overkill in your home. A little goes a long way, so be sure to use select pieces and integrations instead of placing in too many places or within too many rooms. Gold and rose should be an added element to your home or select rooms, not the focal point of every turn and corner that your guests make. Because we love how these colors and mixed metals can transform a kitchen, especially. One of our favorite areas to use gold and rose is in the kitchen. Kitchens can be very unique spaces; renovations can be expensive, and a great deal of work. Yet, by adding color to areas such as your overhead lamps within your kitchen, or as simple as your cupboard handles, you can really revamp your space. We love the “pop” that these mixed metals make in modern or urban chic kitchens. Take a look at your kitchen now and consider how you could make small, yet impactful transformations. Our suggestion – try combining gold and rose with bright colors in 2018. In previous years, the trend for these colors were to use them as a stand-alone focus within rooms. 2018 interior design trends are all about combination. Mix these metals tastefully with bright colors, such as blues or purples, but be sure to not mix with color palettes such as pastels. Combinations are key, though tasteful combinations are essential. Will you use gold and rose within your home this year? We’re excited about how these beautiful metals will find their place in your home. To learn more about how you can transform your home with ease this year, contact MDK Design here. You may be considering a New Year’s resolution for yourself but how about 2018 interior design resolutions for your home? Whether it’s a goal to lose a few pounds, or perhaps a target move in your career, dream boards and inspirations await. Yet, 2018 interior design resolutions for your home are just as important! As we find ourselves in the month of January, the Holiday Season is behind us and we are preparing for the year that lies ahead. If your home is in need of some attention this Winter and Spring, read on. You’ve accumulated plenty throughout the month of December. From gift wrap and new toys for your kids, to Black Friday deals that have been yet to be opened, there is likely a storage room just waiting to be tended to. It can be intimidating to declutter, which is why we recommend going room by room. Start with the kitchen and give yourself a few days to go through each and every cupboard, drawer and storage areas. You’ll be surprised at how much you can get rid of. This will make way for a new vision for your kitchen – can you be a minimalist for the remainder of the Winter? 2. Pick one room and make it your own. If you sit and think about your home – really think about it – you probably have that one room that serves little purpose. Perhaps it’s a den that has turned into storage, or a guest bathroom that is rarely used. In 2018, it’s time to pick one room and make it your own. Maybe it’s a repaint, or it could be a complete remodel. 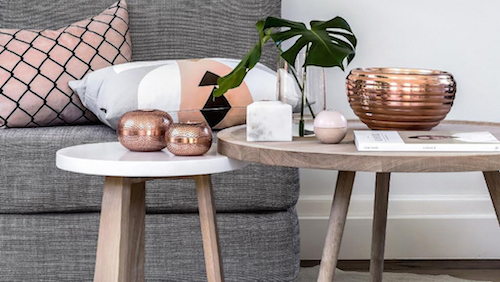 If it’s the later, consider some of the trends that lie ahead for 2018 – brass accents, moodier palettes and natural elements. While neutral tones are safe (and have been a wonderful trend for years), 2018 is the time to take a risk. From velvet infusion in your living room to bold patterns in your bedroom, we are so ready to help our clients take risks in the coming months. One of the more exciting trends that we can’t wait for is the resurgence of bold patterns. Geometric shapes using wallpaper is a perfect way to infuse risk in your home. 4. Vintage is new again (give it a try). 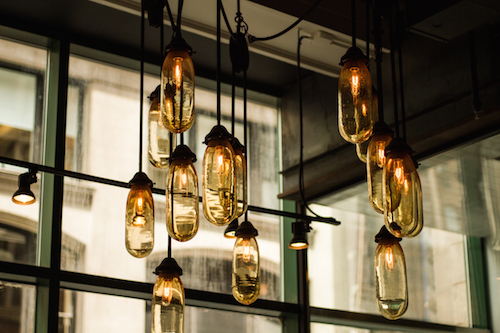 Through light fixtures, like lanterns or chandeliers, vintage is really making a comeback. We could spend hours and hours looking for such fixtures on sites like Etsy, which make the perfect addition to a kitchen, for example. Vintage light fixtures combined with ultra modern rooms are perfect for the craft DIY home owners. 5. Bring back some drama. We love neutral as much as the next person, though 2018 is a year to bring back some drama. Neutral tones and straight lines have been great throughout this past year, but we’re ready for more. Introduce curves into your home. Mismatch photo frames. Get yourself a feature painting that you feel bold and confident about. Make a splash. After a Holiday Season filled with celebration and appreciation for the year that was, we couldn’t be more excited for these next twelve months. From taking risks and integrating drama into our projects, to bringing back the love for vintage, 2018 is a year about small changes making a big difference. From MDK Designs, we wish you a splendid year ahead! Looking for Holiday Gift Guide Ideas for 2017? 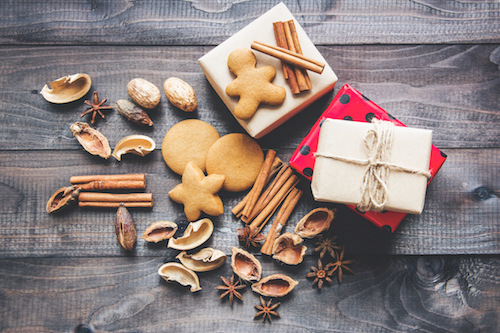 If you’re a designer like myself, you look for creativity anywhere – from clean, sophisticated lines in the homes of my clients, to the way in which gifts are wrapped and given over the Holiday Season (yes, we look for detail and inspiration everywhere!) Yet, sometimes we all need a bit of inspiration ourselves, especially with a holiday gift – which is exactly why I’ve put this Holiday Gift Guide Ideas blog together ahead of the Holiday Season. I love buying gifts no matter what it is, I actually bought my friend some home security camera equipment last year! Coming from myself, an individual who loves to create DIY projects of all kinds, these are quick, easy gifts that you can prepare within just a few hours. Below is my 2017 Holiday Gift Guide Ideas – gifts for the interior designer in your life. I love this idea with a group of friends, or perhaps those of us who have kids. Gather 4-5 of your friends or family and bake a few dozen cookies. Place your cookies in simple mason jars (or your children can have some fun and design the jar! ), with enough to give one jar to each of your friends or family. After your Holiday dinner, it’s time for the exchange. You’ll walk home with a plethora of cookies, made from love from your friends and family. Who doesn’t love bath bombs? When it’s done DIY, they’re made even better. Home Talk has a great recipe to create your very own Peppermint Bath Bombs here – all you need is baking soda, citric acid, grapeseed oil, peppermint essential oil and a spray bottle of water. For the crafter in your life, they can never have enough materials for sewing. Head to your local craft store and grab a small box. Collect your favorite threads, a small pair of scissors, some pins and other materials that your little crafter would love. Write a note of “thanks” to place within the craft kit. Don’t forget your children’s teacher during the Holiday Season! We know how much teachers love caffeine, and this time of the year is no different. Grab a travel mug at the store – just a simple mug. Then, grab a wool sock from your craft store or closest clothing store. Slip the sock over the mug and cut off the bottom, so the cup can lay flat. Tie a ribbon of yarn around the cup and voila! A cute gift for your favorite teacher. Don’t forget to include the coffee beans. We all love growth charts, right? It’s so wonderful to look back when your kids are in their late teenagers years, or as a young adult, when you reminisce on the past. That’s why I love the idea of a growth chart. Find a 6’ board, grab yourself a black marker and painters tape. Measure and mark in 1 foot increments, then measure and mark within inch increments. Make a stencil for each of the foot numbers and indicate 1 through 6. Add a coat or two of stain (after the marker has dried, of course!) This is a wonderful gift and one that is certainly memorable. We all have that one friend who is hyper organized, so why not help them as part of the process? Grab a chalkboard that can be framed (or already comes framed) that will suit their home. Purchase a few colors of chalk and tie with a big red ribbon. This is perfect for the urban organizer’s modern home. 2018 is quickly coming to a close, and we’re putting the finishing touches on Holiday gift ideas for our loved ones. These Holiday Gift Guide ideas should be a great aid as you prepare your final task list for the Holidays. From MDK Designs, Happy Holidays to you and your loved ones! 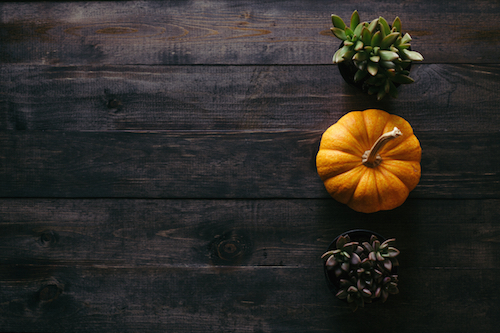 Thanksgiving is quickly approaching, and we are more than excited to share Thanksgiving interior design tips with you. It’s a wonderful time to celebrate with family and friends over a beautiful feast of warm, hearty food. If you are hosting Thanksgiving Dinner this year, preparing a turkey likely isn’t the only thing on your mind – decorating the dinner table is also high on your priority list. 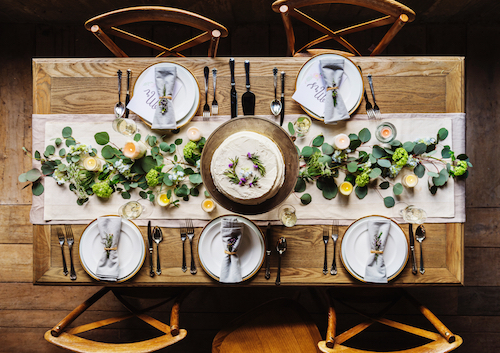 That’s why we have put together our favorite Thanksgiving interior design tips and personal touches to make your holiday dinner table one to remember. 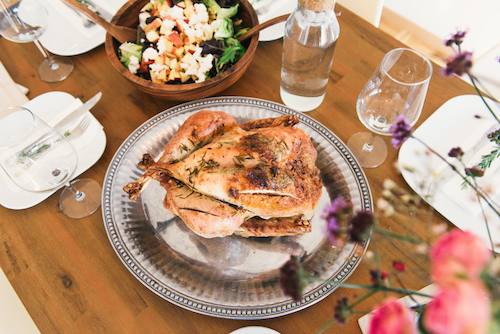 Here are 10 Thanksgiving interior design tips for your dinner table. Vases filled with beautiful, Fall foliage will be an excellent compliment to your dinner table this year. Mixing and matching vases on your table will provide an eye-catching allure that will bring personality to dinner. …and deter from the ordinary! Instead of integrating the traditional oranges, yellows and browns into your home, consider a different accent color that can be brought to your table and other areas of your home. Bright, spring red, aqua greens and greys can be used thoughtfully with accents to create a unique dinner experience. This can be done through fabrics, such as tablecloths, chargers and napkins. Different textures provide depth to your dinner table, and are a great compliment with varying accent colors. There are a plethora of candle options on the market, and we love supporting local merchants and small businesses during times like Thanksgiving. With the candles we purchase, it’s often fun to use them in different ways, such as tall candle sticks placed along the table, or placing candles in vases. This is the year of new and different, can’t you tell? Thanksgiving interior design tips for 2017 are truly one of a kind, which is why we suggest adding unique floral arrangements to your table this year. Consider adding fruits to your arrangements, such as oranges, cranberries or other gourds. These are fruits that simply make you think about the Holiday Season, but are an interesting feature to your table. Tall, thin candles are great, of course; however, it’s important to keep your centerpieces low. Tall centerpieces will hinder conversations, whereas low arrangements of florals and candles will encourage your guests to converse with one another. If some of your guests are meeting for the first time, consider having name tags or seating cards. 7. DIY centerpieces can be fun! To encourage collaboration, a great idea is to have a few of your guests bring DIY centerpieces. Don’t set a theme, simply invite them to be creative. They won’t match, and so what! It’s a fabulous way to bring your guests together. If you are hosting dinner for your family exclusively, consider going through old photo albums and find ten of your most favorite family photos. Pull them from across decades, as this will give everyone at your table a chance to tell old stories and share memories with others. If you have children coming to your Thanksgiving Dinner, consider having a separate table for them – complete with arts and crafts. Perhaps they can put together wreaths, or grab a few Thanksgiving coloring books at your local store. Leftovers can be done simply and thoughtfully, so why not send your guests home with a meal for the next day? Head to your local arts and crafts store, and grab some small cardboard boxes. If you have children in your family, encourage them to find their favorite markers in the store, along with some glitz and glitter. Your children can create a cardboard box for each guest, complete with their name along the side. This is a unique and thoughtful way of sending your guests home with a warm meal for the following day. From MDK Designs, we wish you and your family a fabulous Thanksgiving Dinner. It is truly a time to be thankful for what we have, and dream for what our future holds. Looking for fall interior design tips to warm up your home? We’ve had unusually warm weather in Boston, but before we know it, the cooler weather will be here. 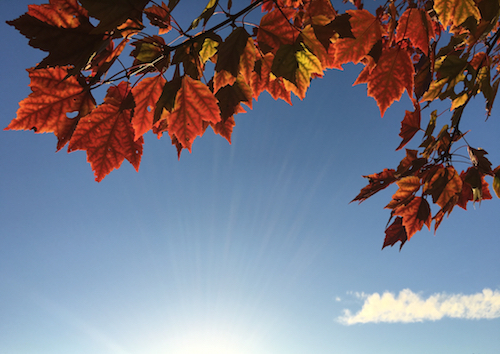 Changing leaves, a breeze from the waterfront and Fall coats will emerge from our closets once again. 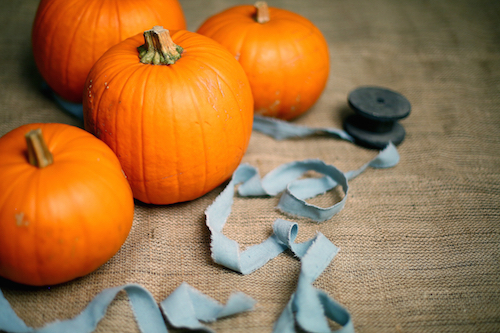 The change of season is a great time to share fall interior design tips to warm up your home. We’re not talking about changing your home thermostat to that of a warmer temperature; instead, we’re focused on fall interior design tips and tricks that you can use to prepare your home for the Fall months. Here are 5 fall interior design tips you can use now to help warm your home. 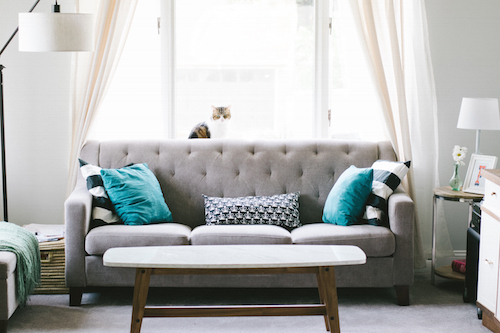 We love plush throws, but they’re not always appropriate for year-round additions. After all, you’re likely not curling up on the couch and warming yourself with blankets if the weather is unbearably hot, right? Yet, plush throws are so warm and inviting for the Fall months. 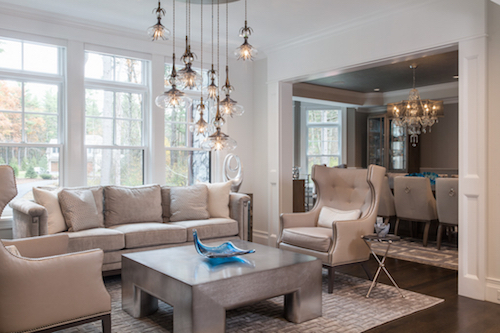 Opt for plush throws that are neutral in color – think browns, greys and warm blues. Place candles throughout select rooms. From your kitchen to your living area, and your guest bedroom in between, candles add ambiance that is difficult to match. Simple tea light candles in a clear glass holder adds sleek sophistication, while stand-up wax candles can also create a beautiful mood in your home. 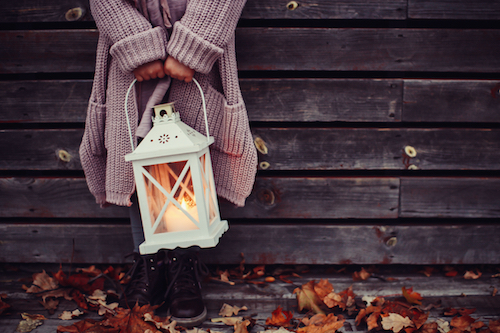 Think about candle lighting inside and outside your home. As the focal point in a living area, your fireplace has likely yet to be started for months. Whether it’s time to collect wood for a natural burning fireplace, or perhaps you have a gas fireplace that offers a quick start, dressing up this area in your home draws great attention. Consider using fall leaves or perhaps add those candles above on the fireplace mantle. It’s also the perfect time to start thinking about mini pumpkins ahead of Halloween and Thanksgiving. It’s time to change out your bedding with coverlets and layers of blankets. The weather will soon get cooler, and light Summer bedding is no longer appropriate. Instead, consider the warmth that layers provide, and the inviting addition it can have in your bedroom. Perhaps you can find similar coverlets for your Master bedroom and guest suites. Create an inviting front door. Your front door welcomes your guests, whether family or friends. With the beautiful trees changing color and the pine cones falling, it’s time to swoop those up and add Fall foliage to your front door. You could display the Fall foliage along your front porch, or you could create a beautiful wreath and hang on your entrance- way. We love the Fall months here at MDK Designs, and we can’t wait to see all of the beautiful ways you are warming up your home for the Fall. For more great ideas, visit HGTV and Elle Decor. We are loving the balance and beauty of modern Asian interior design. As we prepare for the Fall and inspiring months of Winter through a brand new year, we are ready for balance and harmony. If you are prepared to change your interior, whether it is a single room or perhaps your entire space, we are sharing everything we love about modern Asian interior design – and how you can apply our favorite elements into your own home. Here’s what we love about modern Asian interior design. We love the inspiration of nature through products and feel. Here in Boston, we love the outdoors. From colder Winter months to beautiful Summers on the water, we are so inspired by nature. The colors of pink or cherry blossom, luxurious purples or stunning reds are a perfect complement to the organic products and feeling of textures that the design elements simply ooze. Organic materials, such as wood, should also be utilized. Balance and harmony maximizes the flow of energy. Open floor plans are a complement to perfect balance and harmony. 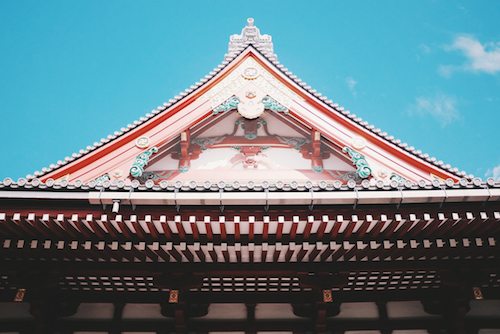 Within modern Asian interior design, there has always been a connection between light open floor plans and the goal of balance and harmony. This goal here is to let energy flow throughout the room. We love the natural lighting and feeling of space that balance and harmony provides. It helps us become more Zen. Colors – The main colors that are focused on are those of water, soil, neutral shades and stabilizing the vibes in each room. 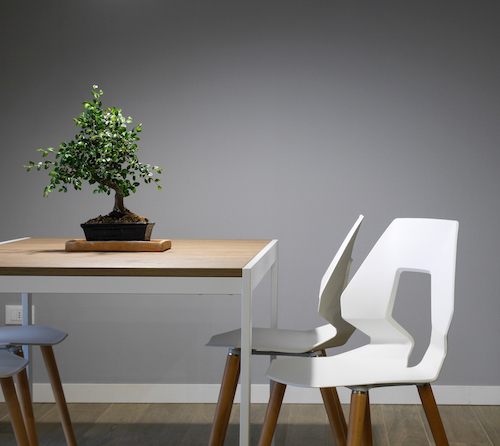 Minimalism – Simplicity and minimalism of your space is where inspiration comes from. Think “less is more”. Balance – Much like balance and harmony above, organizing your furniture and accessories in such a way around your home encourages peace and tranquility. Organic and sustainable are a focus. We know that products we consume should be organic in nature, and our lifestyles should be focused on sustainability, but what about products in our home, such as materials, woods, accessories and more? We love the focus of design with the impression of clean, sleek, modern, organic looks and textures. Appearances of organic and sustainable material in a home helps increase the flow of confidence, calmness and stability. Are you ready to shift the energy in your home as we move into a new season? Connect with us today and we’ll share our ideas on how you can turn your home into one with a modern Asian interior design focus. Read more about Asian interior design ideas. 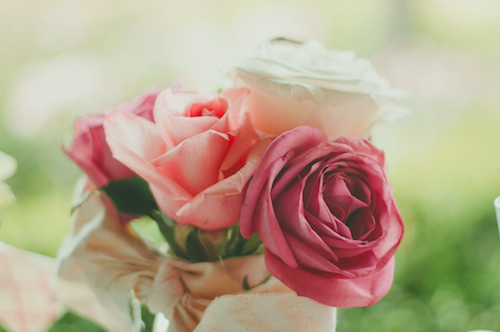 Mother’s Day is coming up quickly so we wanted to share some DIY Mother’s Day gifts and ideas! We couldn’t be more excited to celebrate Mom. She is often our backbone, our support and our gladiator as we go about our day-to-day. So, if you or kids are preparing for a special day, consider the DIY Mother’s Day gifts that we love – and that we couldn’t wait to share with you. 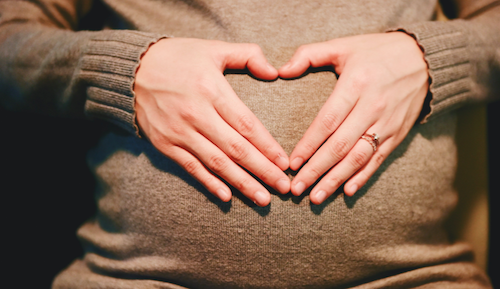 We all know that Mother’s love gifts and gestures that come from the heart, so why not spend a little time to prepare your own for your Mom? Mom’s love to look at photos of their children, grandchildren or special adventures that they’ve taken with those they love. So, why not put it in a picture book? To start, head to your local crafts store and grab some beautiful paper with textures that scream “Mom”. It could be an off-pink paper with a stunning floral print, or perhaps a grey tone with slight shimmer. Next, print or pull together the photos that mean the most to your Mom. Attach the photos to your paper, and create a binded book. Organize by life moments, the past year, or perhaps vacations that hold sentimental value. There is something to be said for a traditional wall-hanging calendar, so why not create one that makes an impact? Choose a different photo for every month – for example, if Mom’s birthday is in September, have a child photo of her for that month. Or, if her Anniversary is in October, include a wedding photo for that month. She’ll be impressed with the thought and effort – and that’s what counts. Instead of buying flowers at a florist, why not create an arrangement on your own? 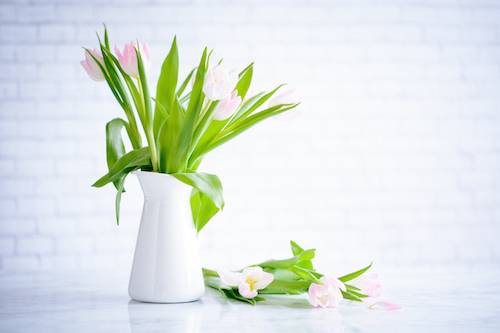 Perhaps you have some beautiful flowers in your back garden, or maybe you want to browse the aisles of your local floral store and hand select only the best for your Mom. If you are pulling from your own garden, pick-up some country twine and tie your arrangement together. Instead of picking up a card at Hallmark, why not create your own? Visit your local craft store and get creative. Don’t be afraid to go all-out – if your Mom is chic and glamorous, use metallics and plenty of sparkle. If she is more subdued, be sure to rely on pastels and neutrals. It’s true. All your Mom wants to hear on Mother’s Day is “I love you”, and to spend the day with her children. Time is the greatest gift you can give, so simply spend time with Mom on her big day. Make her lunch, bring her coffee, or go to a play. From all of us at MDK Designs, we love you, Mom! We hope you enjoy these DIY Mother’s Day gifts that your children are so proud to share. Need more Mother’s Day gift ideas? Visit mommypoppins.com or BostonMagazine.com. Happy Mother’s Day! Spring is upon us, and it’s time to get ready for the season ahead. With the warmer weather and longer days, we can’t wait to enjoy our outdoor space. Relaxing in a beautiful backyard is at top of mind. So, if you are ready to create your perfect outdoor space this Spring, the time to plan is now. Choose appropriate furniture for your patio. If you have a large backyard, or perhaps an intimate space, it is important to choose appropriate furniture for your backyard. With larger backyards, opt for furniture that makes a statement. Weatherproof pieces that are heavy in nature, yet not overbearing, will stand the test of the seasons. For intimate spaces, choose smaller furniture pieces that will not overwhelm the space you have. Utilize the benefits of sectionals. Who doesn’t love sectionals? Not only are they functional, your guests will love them. You can seat more guests than an outdoor patio set or couch, and it’s so much more comfortable. 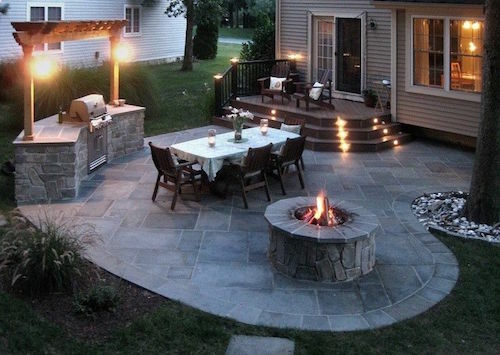 Consider using a fire pit for your outdoor space. Although warm Summer evenings are envious, the weather can turn once the sun goes down. So, why not consider using a fire pit for your outdoor space? The purpose of a fire pit is two-fold. Not only is it functional in nature (warm!) it’s also beautiful aesthetically. The fire pit can create a draw and focus in your outdoor space. If you have a plethora of space, an outdoor kitchen can do the trick. If space allows, an outdoor kitchen serves a great deal of purpose. Instead of going indoors and outdoors to cook your meal, consider the benefit of having an outdoor kitchen to host your guests. We’ve seen so many gorgeous televisions outdoors, and other outdoor entertainment sets. We love the idea of including entertainment within your patio sets. There are several weather-proofing entertainment sets that could be of benefit for you and your guests. Ask yourself – what would my guests enjoy this Summer? When creating the ideal outdoor space this spring, it is important to keep your guests in mind. Whether you are hosting dinner parties or brunches on weekends, consider our tips to create your perfect outdoor space this Spring. Contact MDK Design Associates for more information about creating a beautiful outdoor space this spring or summer. Visit Lloyd Flanders for some outdoor furniture inspiration. With the Holiday Season approaching and the New Year coming quicker than ever, we’re starting to think about how to prepare your home for 2017. The latest trends are being released and palette forecasting is happening, which means that dream boards are everywhere here at MDK Design Associates. That’s why we’re ready to share exactly what we’ve found over the last few months. As we’re moving into the Winter and getting ready for a brand new year, we want you to start thinking about how you can make small changes in your home that result in a big difference. 1. Take inventory of your furniture. Furniture, including beds, are expected to change dramatically in 2017. Upholstered beds are expected to be incredibly popular, and will replace timber bed frames that are currently on the market. For couches and chairs, don’t be afraid to think big; floaty silk for dining room chairs, or deep hues for the living room. One thing we know for certain – pastels are out. 2. Determine if it’s time for a wall change. 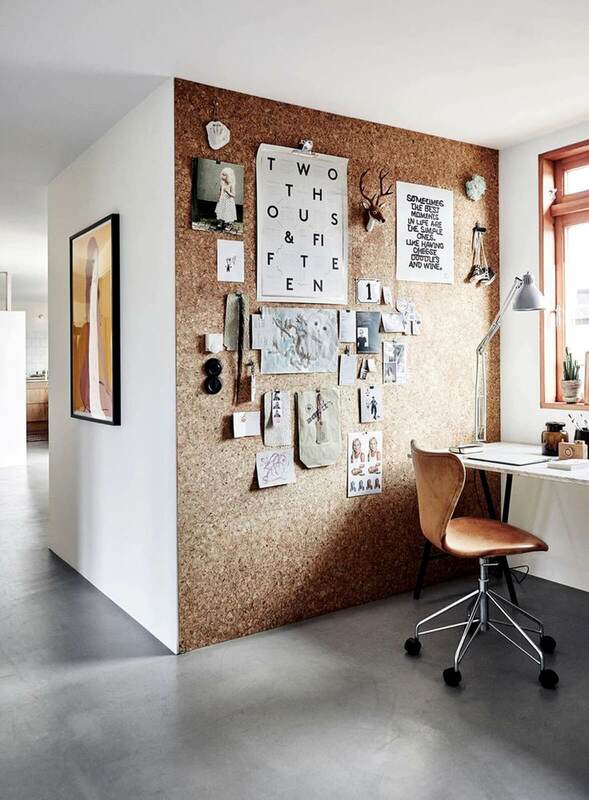 We are loving the idea of cork on walls. 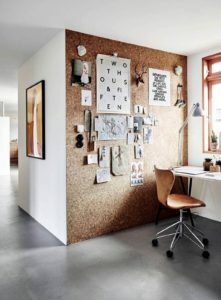 Not only is cork an uber stylish material idea, it also adds warmth and texture to spaces. Think about using it in your home office, or on a small wall in your kitchen. Bonus: Cork can also absorb noise in a home. 3. Consider home automation and smart products. 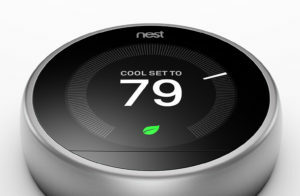 I am loving the Nest Home Thermostat in particular; with the Nest, you can control the temperature in your home using your smart phone. It also allows you to set schedules – for example, you can decrease the temperature of your bedroom at night as you’re sleeping, and increase the temperature in the morning just as you wake up. It saves you time, and it saves you money on your energy bill. Here are some other great options for home automation products. It’s a great way to prepare your home for 2017. 4. Focus on the kitchen. Does your kitchen feature cool tones (think whites and greys)? While they were hot in 2016, warm materials – like terracotta tiles or sleek wood – will be the new replacement. Hidden appliances are also all the rage for 2017. While we still love stainless steel appliances, consider appliances that easily meld into your design scheme. Hide that dishwasher or tuck away your microwave. 5. 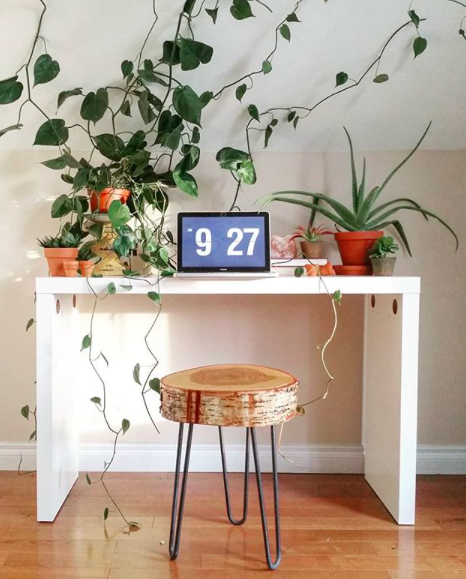 Is it time for a home office? If you have a flex room in your home, is it perhaps time to update it and create your own home office? Remote work is increasing (more than 50% of the global workforce telecommutes), which means that you could spend more time in a home office than on your corporate desk. Consider updating a flex room in 2017. 6. Get ready for Spring Cleaning. No one loves Spring cleaning (and if you do, share with us on Facebook). If you’re finding that you have an extra hour or two on the weekends over the next couple of months, consider using it to get ahead of Spring Cleaning. Although it might seem like a chore, it will help you get ahead of the daunting tasks ahead as the weather becomes warmer and the outdoors need your attention. We’re preparing for 2017 here at MDK Design Associates, and we can’t wait for you to do the same. As you’re dreaming of updates and ways to prepare your home for 2017, you can make to your home in the New Year, consider these six tips – and get creative!